With all eyes rightly focused on the Karlsson Watch, trade rumblings surrounding Max Pacioretty and the Montréal Canadiens have flown under the radar. Pacioretty remains a player to keep an eye on as the NHL descends on Dallas for the draft this weekend. 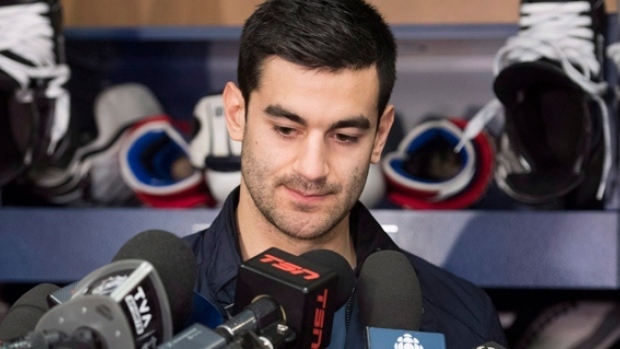 Pacioretty, eligible to sign a contract extension on July 1, is seeking a long-term deal in the six- to eight-year range – a term the Canadiens do not appear willing to offer. That’s one reason the Canadiens’ captain seems like a good bet to be traded at some point in the near future. Pacioretty, 29, checks in at No. 4 on TSN’s latest Trade Bait board. Could Pacioretty be part of a package to bring back the elusive centre the Canadiens have coveted since Saku Koivu? One rumoured landing spot is the Los Angeles Kings. GM Rob Blake has talked repeatedly about the need to add scoring punch and Pacioretty has averaged 35 goals per year in his five full seasons prior to this past one. There has also been speculation in recent days that the Buffalo Sabres could be a potential match. They have the premier centre on the market in Ryan O’Reilly, who is two spots ahead of Pacioretty on the Trade Bait board, a better player and better fit than pending free agent Paul Stastny. The Habs would be thrilled to pay $7.5 million signing bonus due to O’Reilly on July 1 if it meant they could land the white whale GM Marc Bergevin has been hunting his entire tenure in Montréal. Pacioretty would need to be part of a package that also likely includes prospects and picks. The Canadiens have four second-round picks in this weekend’s draft to help make that happen, including their own (No. 35), No. 38 from Chicago (Dale Weise trade), No. 56 from Toronto (Tomas Plekanec) and No. 62 from Washington (Lars Eller). Bergevin and the Canadiens are in a difficult spot, selling low on Pacioretty after his least productive full season (17 goals) in the NHL. The Canadiens probably have a pit in their stomach knowing that Pacioretty will likely bounce back with his usual 30-goal season in a different uniform. It’s impossible to blame Pacioretty for wanting more security, having significantly outplayed his current six-year, $27 million contract with the Canadiens. Panarin may be longshot to get dealt. It’s incredibly difficult to find equal value in return when trading one of the premier scoring wingers in today's game. Perhaps cooler heads prevail. The belief is Panarin did not say he will never be interested in talking an extension, but rather that he wants to see what kind of team Columbus ices in September before taking that step. That’s his right entering the final year of his deal.